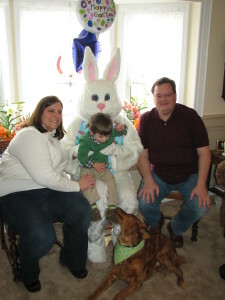 Schedule A Visit With The Easter Bunny! With all the snow we’ve been having, it’s hard to remember that spring and Easter are right around the corner! If you’re having an Easter Egg Hunt or a Sunday Spring Brunch, having the Easter Bunny stop by for a visit is the perfect way to cap off any event! Just Plain Silly can help arrange a visit* from everyone’s favorite long-eared friend, sure to be a hit with kids, parents, even pets! To inquire about pricing or to schedule a costumed appearance by the Easter Bunny, be sure to e-mail Just Plain Silly Entertainment! * The Easter Bunny mainly hops to areas in South Jersey and Philadelphia. Just Plain Silly Balloon is excited to once again twist balloons at the annual Irish Nite at Mary Queen of All Saints Parish in Pennsauken, NJ! We’ve been twisting Shamrocks, Leprechauns and more at this great event for many years, and each time is better than the next! 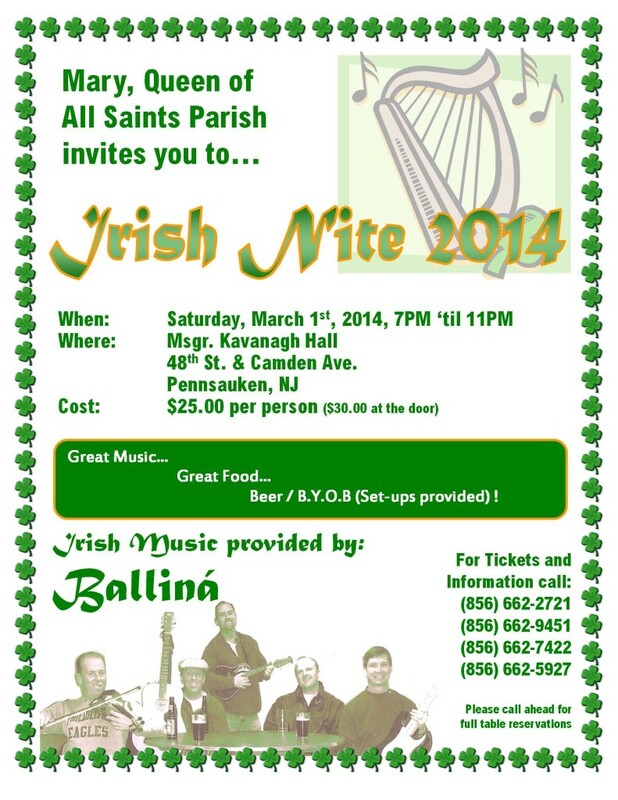 The food is great, the music incredible, and everyone’s Irish for the night! Hope to see you there!